Snake catcher Sarel van der Merwe bagged three green mambas in one day last Friday. If you need a snake removed please contact Sarel on 082 683 1604. 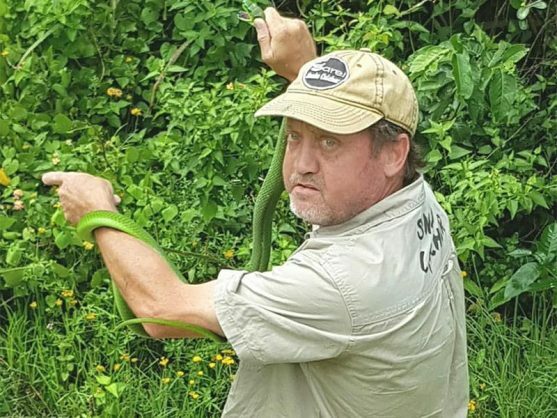 Intrepid KwaZulu-Natal snake catcher Sarel van der Merwe was recently put in a spot bother when he was called out to attend to a green mamba sighted in a tree in Bhoboyi.